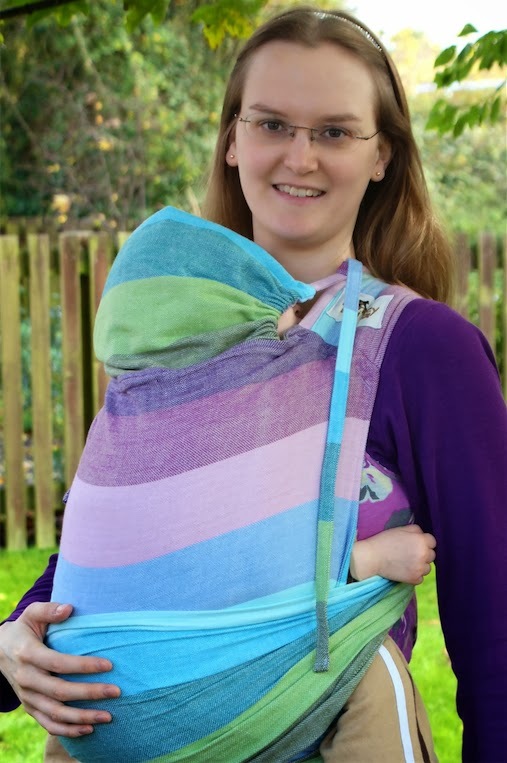 I received this beautiful Monkey Mei Tai wrap conversion a couple of weeks ago, but only just managed to get some good pictures of it. 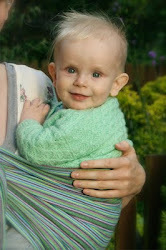 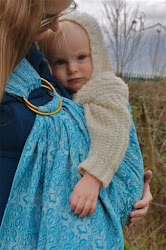 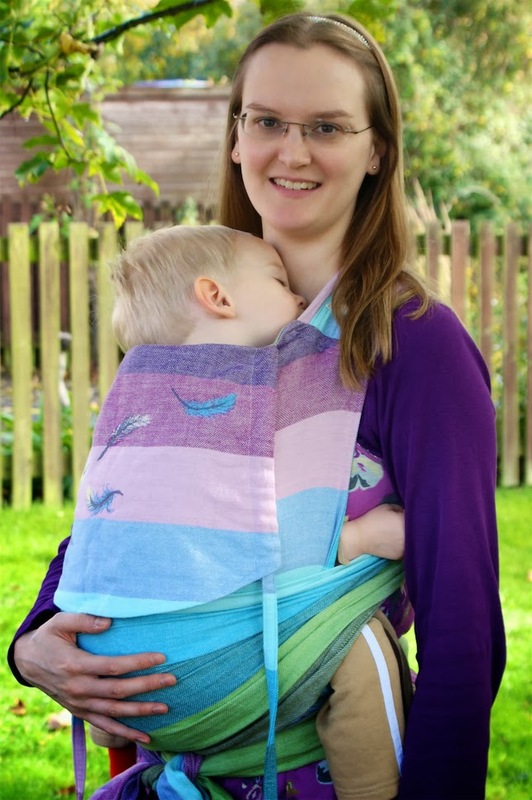 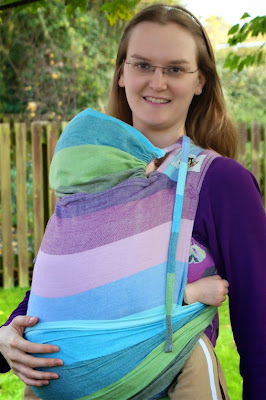 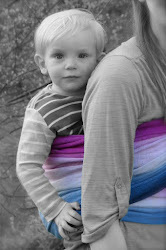 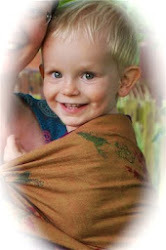 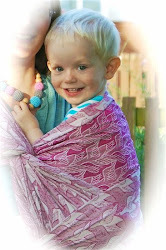 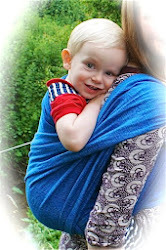 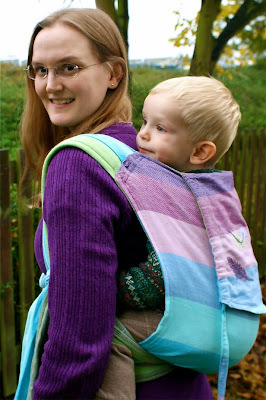 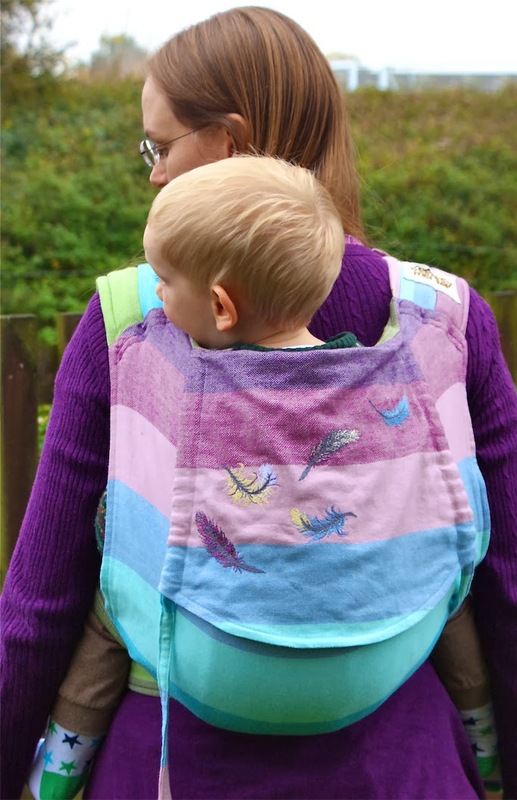 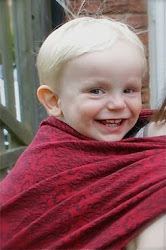 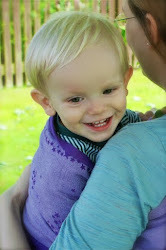 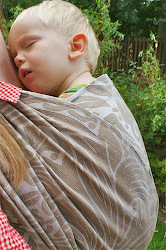 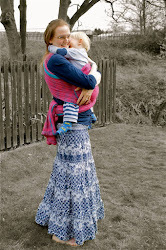 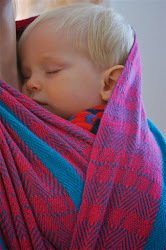 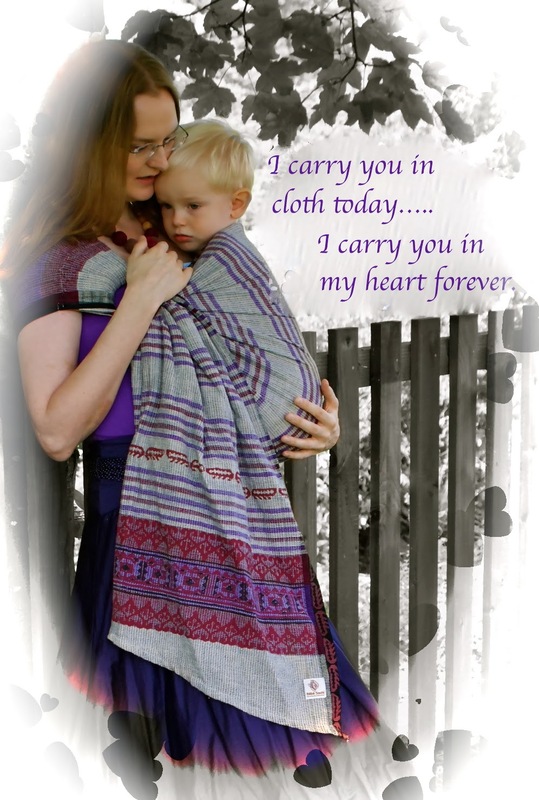 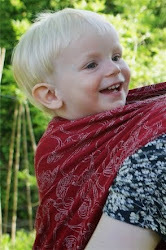 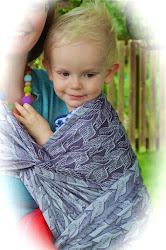 The conversion is made from Girasol Natural Mamas wrap, and is toddler size, featuring Infinity Straps and a flat hood. 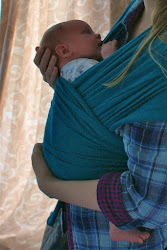 It is amazingly comfortable, and we've already used it such a lot! 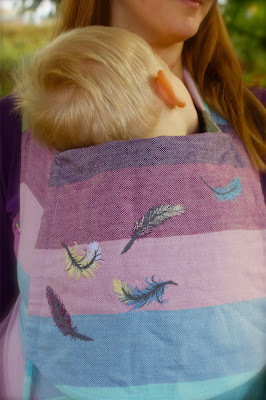 The beautiful feather details have been created using hand-directed free motion embroidery by Helen herself. 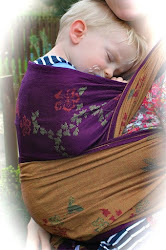 I've done a full review of my other Monkey Mei Tai conversions, and this one is equally as amazing and beautiful. 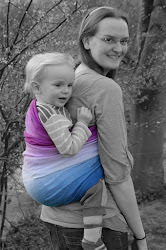 I think the picture speak for themselves!